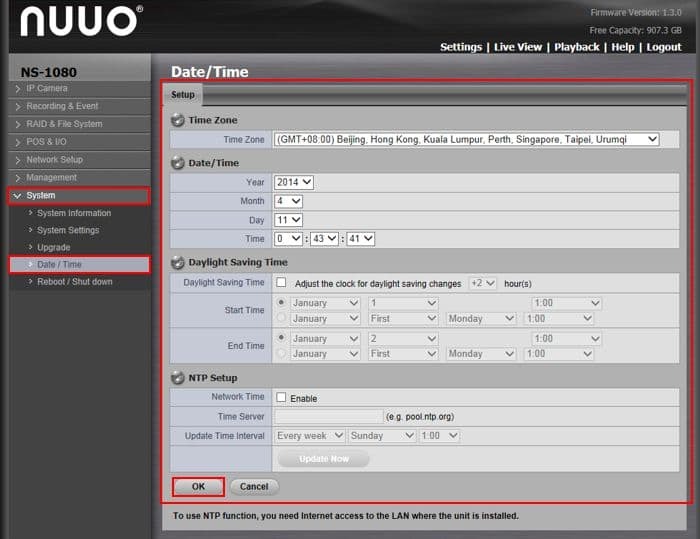 The instructions featured in this article explain how to setup the date and time of the Nuuo Solo Network Video Recorder. For this article we are using the Internet Explorer web browser interface. The examples in this article were done using an NS-1080 NUUO Solo Network Video Recorder. Please follow the instructions below to setup the time and date on the Nuuo Solo Network Video Recorder.